Sundays have always been a “me” day. A day to relax and prepare for another work week ahead. Naturally, this relaxing day always includes at least one face mask! As a sheet mask girl for a couple years now, I’ve never tried the cult favorite Fresh Rose Face Mask until a few months back. Have I been missing out? Let’s get into the review! 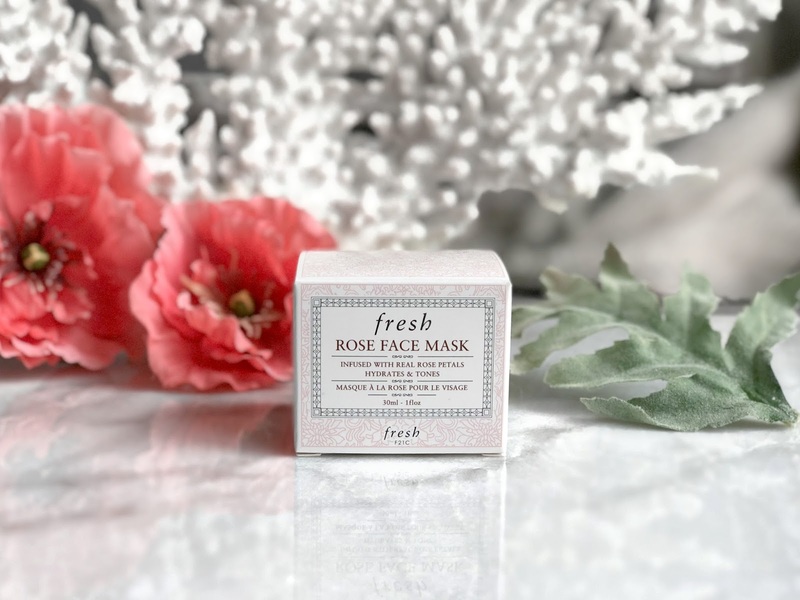 The Fresh Rose Face Mask (30ml, $30 cdn; 100ml, $75 cdn) is a gel based cooling mask infused with real rose petals that claims to hydrate dull and tired skin. 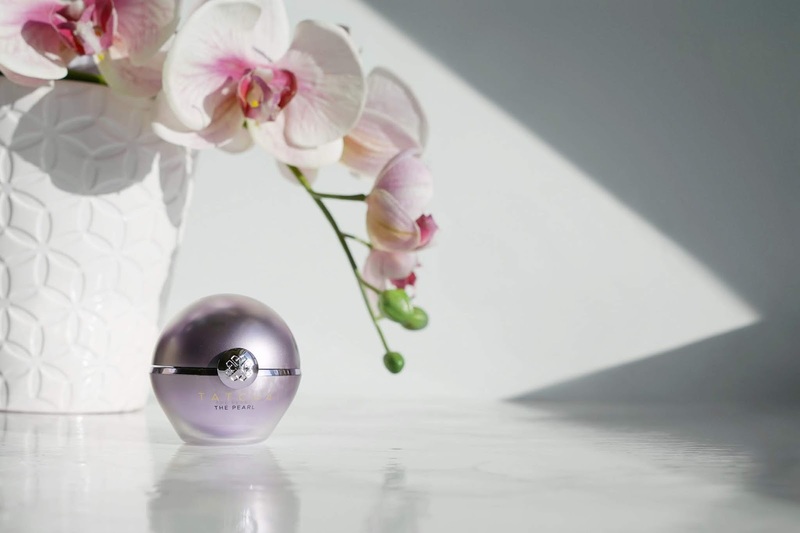 The fresh rose petals helps to restore radiance and suppleness to all skin types. The mask comes in standard Fresh packaging. A glass container with a twist off cap with clean, simple text. It’s sturdy, doesn’t leak and gets the job done in an elegant way. As mentioned in a previous Fresh lip treatment review, I personally love the minimalistic packaging of Fresh products. 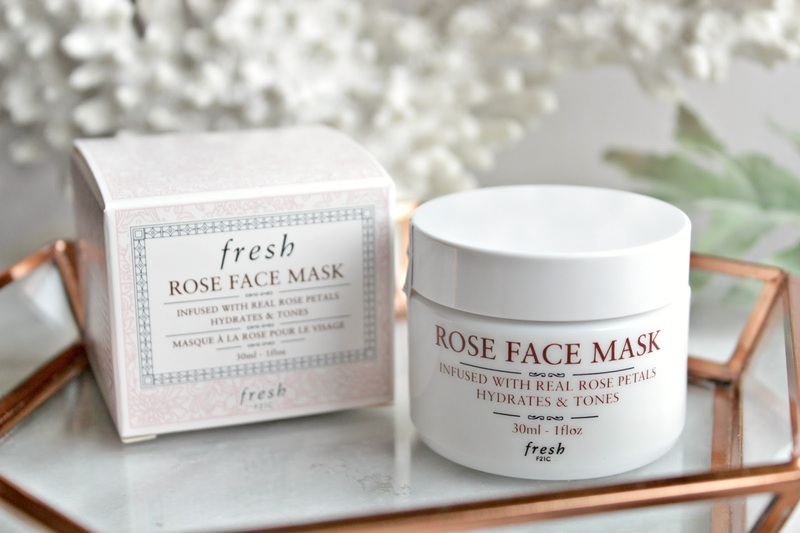 I am not a fan of overpowering scents (especially rose and vanilla), however, this rose mask was surprisingly subtle and wasn’t offensive like other rose products can be. The gel is very cooling and does not have a tingling sensation once applied. This product glides on with ease and dries quickly (5-10minutes) without feeling tight. Over the past few months, I have been using this product at least once a week (sometimes more if my skin needs extra moisture). I usually do a clay mask before applying a generous dollop of the rose mask as it adds an extra bit of hydration that the clay masks remove. 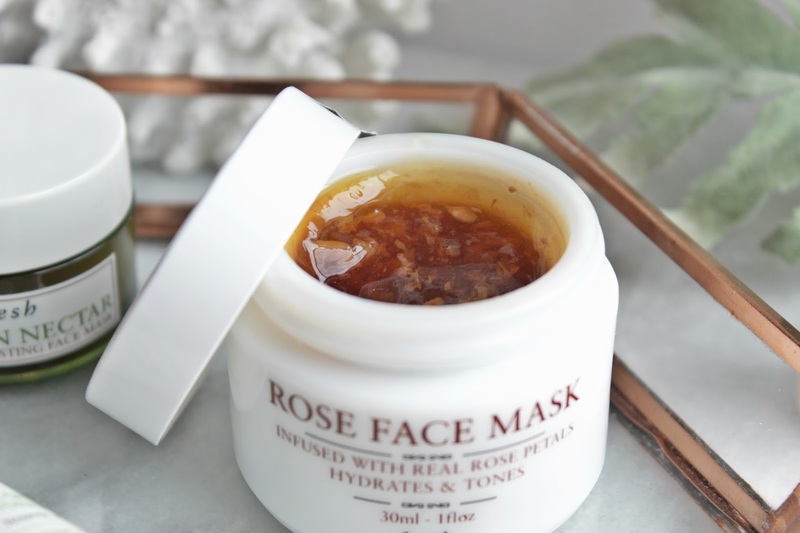 For a quick pick me up during the week, I will apply a layer of only this rose mask. I’ve always liked sheet masks as they provide hydration to my skin when needed but the cleanup is quick and easy. Clay masks can get messy and I thought a gel based mask would be even worse. 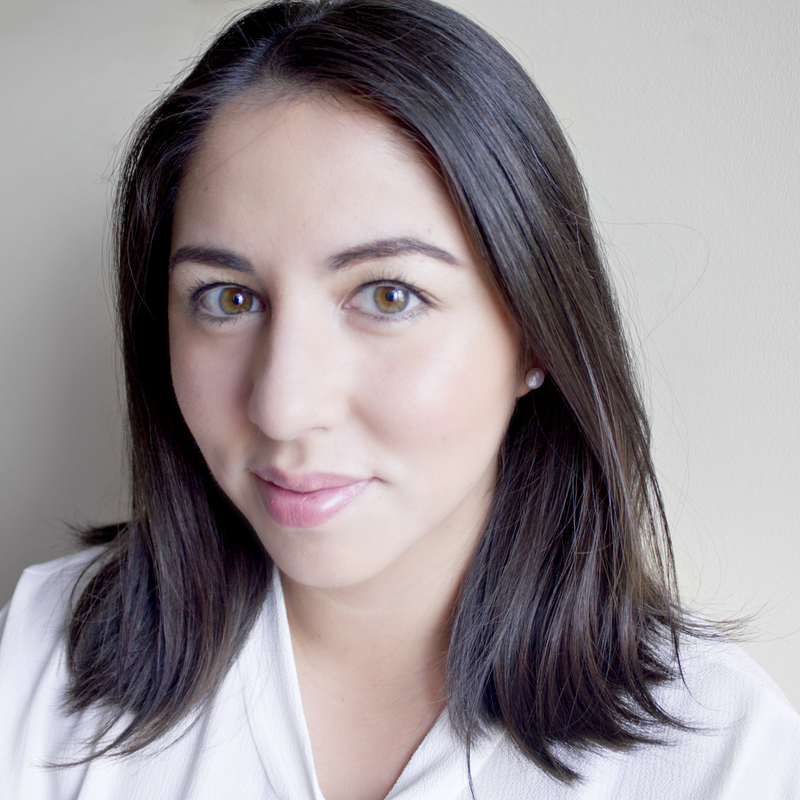 I was pleasantly surprised and have been loving my Fresh mask experience! My skin hasn’t had a dry patch yet and as weird as this may sound, I feel I get an “instant” result. My skin just feels better after using this mask and the clean-up is quick! Once dried, I wash the product off with lukewarm water and I’m good to go! If you’re looking for an “instant” boost of hydration and suppleness for your skin, I would recommend trying out this mask. I’ve definitely been missing out and actually repurchased another container of this a few weekends back during the Sephora VIB Rouge sale! It's been a full year, but I'm happy to be back online and blogging again! As the cold winter weather is slowly approaching, I've started adding Josie Maran's Argan Oil (here too) (15ml, $20 cdn) to my nighttime skincare routine and it's been a life changer. Argan oil isn't a new product and I've always had a bottle at home, however, I mainly used this for my hair and as a spot treatment for seriously dry areas (hey, nostrils!). Throughout the winter months, I'm constantly battling against dry patches around my nose and mouth area while trying to control the oils on my t-zone. Applying an oil all over my face was never an option that crossed my mind. A few weeks back, while preparing for bed, my skin was so unbelievably dry, I decided to do something I never thought I would do. I reached for my bottle of argan oil, warmed a few droplets between my fingers and pressed the oil into my face. I woke up the next morning wondering why I hadn't thought to do this sooner! Since that night, I've been applying oil to my face after cleansing and before moisturizing. 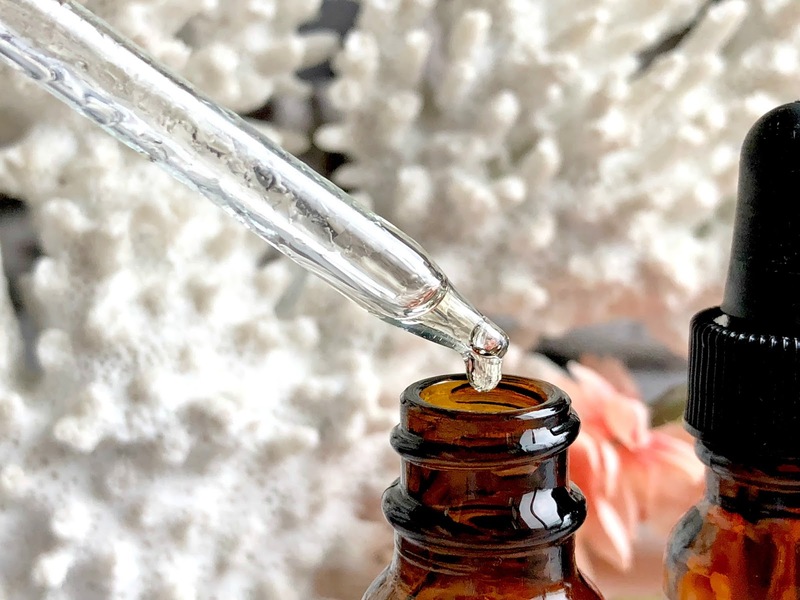 It's been a great addition to my routine and if you're struggling with ultra-dry skin, I would suggest incorporating a face oil into your skincare regiment. Josie Maran's argan oil is a light-weight, quick-absorbing oil, making it a great companion for all skin types. 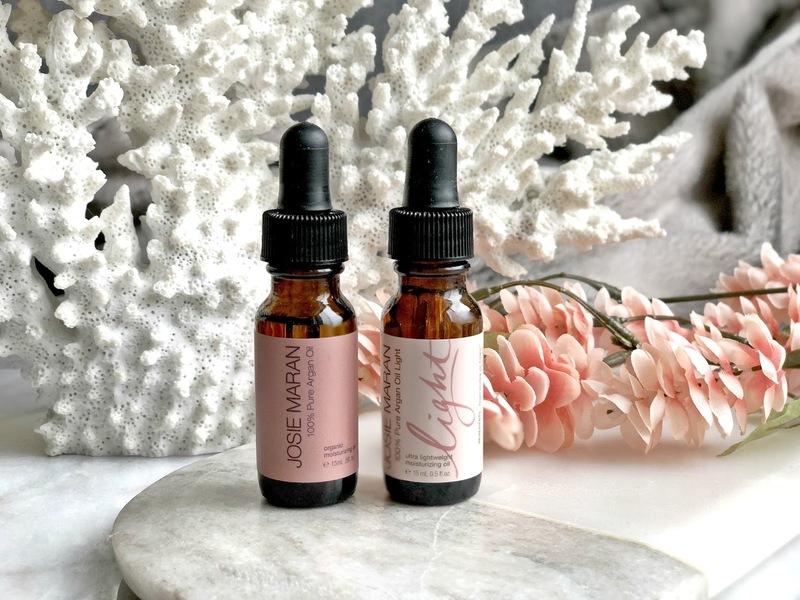 Bonus: Sephora's holiday sets have launched and Josie Maran has come out with the Pure Argan Duo that makes a perfect stocking stuffer for those skincare fans! Two travel sized bottles in a cute little package? What more can you ask for from Santa! 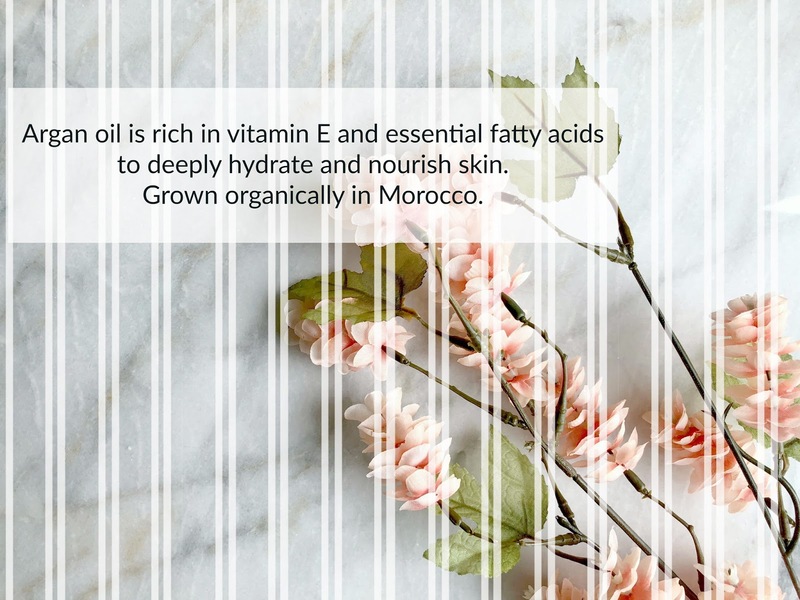 Read more about Argan Oil and my trip to Morocco here! Have you tried or do you use face oils? If so, which one(s) do you recommend?